With winter knocking on our door, keeping active and staying warm might become a challenge. What I have for you, is a chance to make your outdoor activities a bit more comfortable and warmer. That's right. I have a giveaway for you today. Last week I posted about my lovely experience with Sprigs. As you can see, they are great for any type of outdoor activity - running, walking, playing in the yard. Just imagine the endless possibilities as winter rolls along and the snow starts flying - skiing, sledding, snowshoeing, more running, ice skating. The possibilities are endless. - They are small and convenient! Just grab them on your way out and either put them on or tuck them into a pocket. They don't have the bulk other ear protectors/warmer come with. - They come in many colors an options - fleece, cable knit, sport mesh, animal print, snowflake print, and even with an earbud holder option. - They are made for all family members. I love them and so do my kids! I will note, that not only does Sprigs make a fabulous product, they also have incredible costumer service! A step above the rest for sure. The generous folks at Sprigs have a treat for you today! 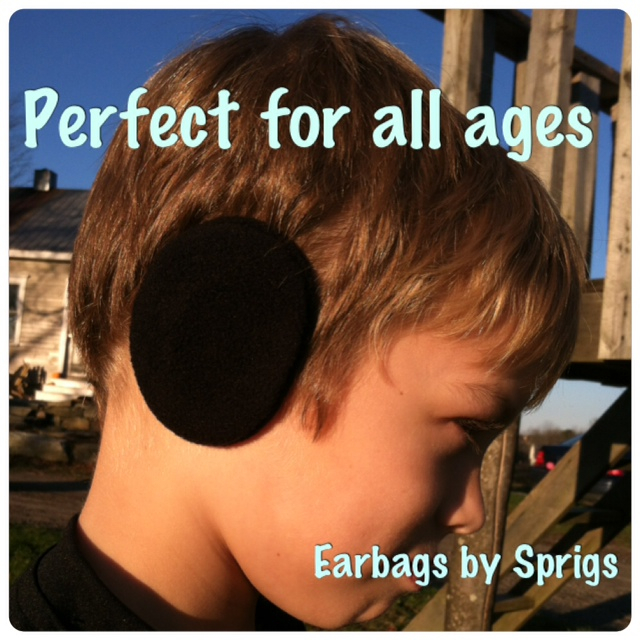 They are offering three of my readers a pair of Sprigs Earbags. You will be able to enter beginning today and the giveaway will end at midnight EST, next Wednesday 12/12/12. I will announce my winners on Thursday 12/13/12. To enter this giveaway, leave a comment for each below. 1. Check out Sprigs website, then come back here and leave a comment telling me what your favorite Sprigs item is and why. 2. While your checking out the Sprigs website, pin your favorite item on pinterest. Leave me a comment with the link to your pin. 3. Follow Sprigs on twitter and come back here and leave a comment telling me what your twitter handle is. 4. Follow Sprigs on pinterest and come back here with your pinterest name. 5. Share this giveaway on facebook and link it Running With The Girls facebook page. 6. Like Running With The Girls facebook page. 7. Follow me on twitter and come back here and leave your twitter handle. then come back here with your twitter link. Now - this is very important - leave a comment for each action you do above! If you combine them all into 1 comment, I will only count it as 1 entry. You have 8 possible entries above! Best of luck to you! 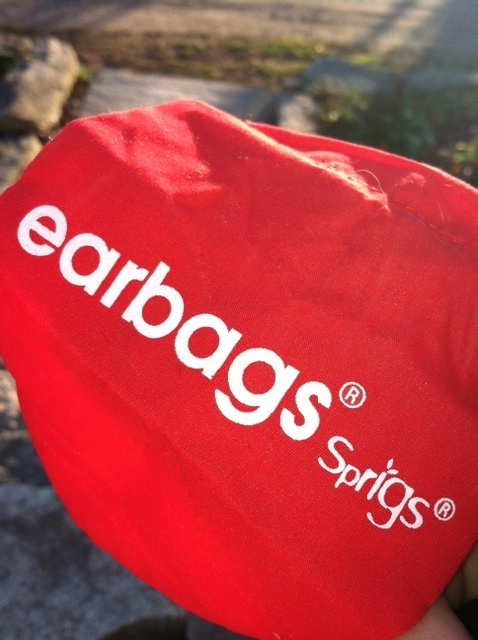 If you'd rather NOT wait to see if you won or not, or want to buy something other than Earbags (like I do!) - remember, I have a discount code for you. Sprigs has an offer for you to take advantage of. Using the code RWTGEarbags, you'll be able to enjoy 10% off orders up to $29.99 and 20% off orders above). This code will be good from today 11/27/12 and will expire on 12/31/12. Disclaimer: I was provided a pair of Earbags from Sprigs in exchange for this review. All opinions expressed in this review are 100% my own and were not influenced by Sprigs. Love the visor and hats. I already LIKE ummmm LOVE your facebook page! Now I like your FB page too. 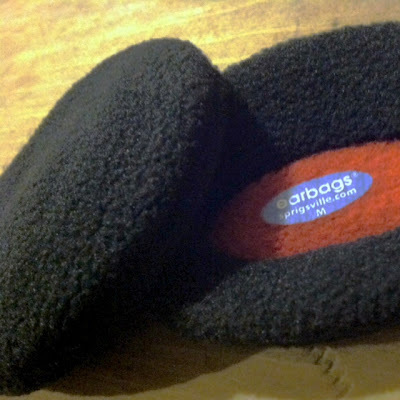 I love the fleece earbags! The black/pink Big Banjee is my favorite item, though I love the Earbags, too. It would keep my smartphone close by during runs, but out of the way. I follow Sprigs on Twitter as @ilovepool. I follow Sprigs on Pinterest as ilovepool. I like Running with the Girls on Facebook as Dani Freeman. I follow @RunningWTG on Twitter as @ilovepool.